The City of Dublin’s Council-Manager form of government provides for the election of a City Council to enact ordinances, levy taxes, appropriate funds, establish municipal policy and the general direction of City government. Day-to-day administration of City services is directed by a professional City Manager who oversees a broad spectrum of services including such functions as public safety, fiscal management, development, maintenance service and building inspections. In 2006, a space needs/facility programming analysis was conducted to determine the future needs for municipal offices and other public buildings. This was updated for various municipal facilities in 2013. As the city continues to grow, there will be increases in City government employment, school population and fire service needs. Long-range facilities plans for Dublin include a new City Hall, and ongoing renovations and/or expansions for the Service Center and Justice Center. The City of Dublin operates seven major public buildings that house City staff and services. The principal administrative location is City Hall located at 5200 Emerald Parkway. The facility includes the offices of the City Manager, Legislative Affairs (Clerk of Council), Finance (Accounting, Auditing and Taxation), Volunteer Resources , Information Technology and Community Relations. The building was originally constructed in 1974 and underwent a major expansion in 1985 and minor modifications in 1997 and 2013. City Hall is a two story building of 13,531 square feet, including Dublin’s City Council Chamber. The City Hall site includes the Fletcher Coffman Homestead (1,908 square feet) and barn (1,800 square feet) within Coffman Park. 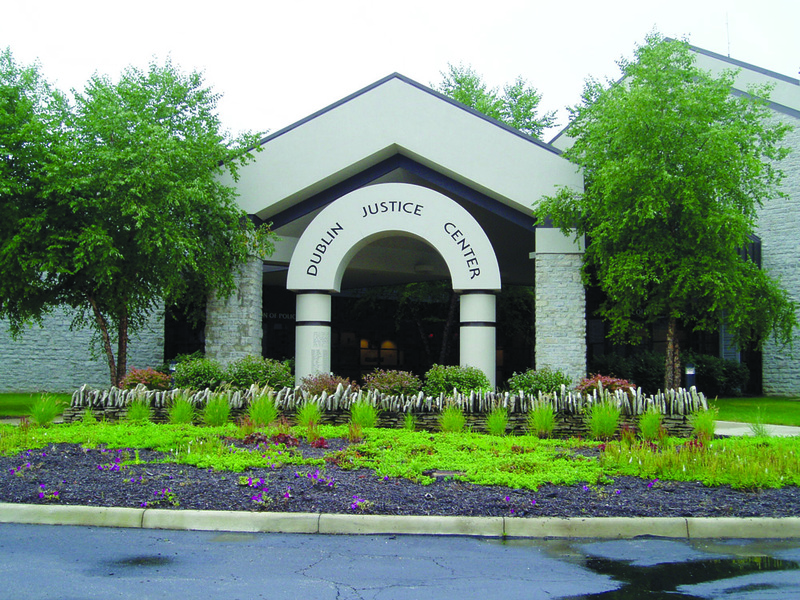 The Dublin Justice Center is located at 6565 Commerce Parkway. Constructed in 1993 on 6.7 acres, the building houses the Division of Police and Court Services, which is part of the Administrative Services department. The Center also provides a state-of-the-art communications and training system. The 42,000-square-foot building includes an emergency operations center, firing range, employee gym and additional storage space. The facility and site are planned for future expansion. A space needs analysis for this facility was completed in 2012 and included recommendations for a 10,900-square-foot, two-story expansion. This improvement is scheduled for completion in 2014. The 5800 Building at 5800 Shier Rings Road is situated on 6.2 acres and houses Building Standards, Economic Development, Engineering, and Land Use and Long Range Planning. The building was constructed in 1980 and purchased by the City in 1993 with the original intent to sell the space when a new City Hall was constructed. With a total of 28,800 square feet of space, the two-story building includes offices, warehouse and shop space, an outdoor service yard and fleet parking. A programming and space needs analysis will be completed in 2013 to determine possible renovation and/or expansion for this facility. Located in Coffman Park, the first phase of the Dublin Community Recreation Center at 5600 Post Road opened in July 1996 with 76,000 square feet. The building houses Recreation Services and includes a competitive pool, leisure pool with 20-foot water slide, aerobic room, fitness area, classrooms, senior adult lounge, community hall, meeting rooms, black box theater, teen lounge, child care facility for patrons, and administrative offices. 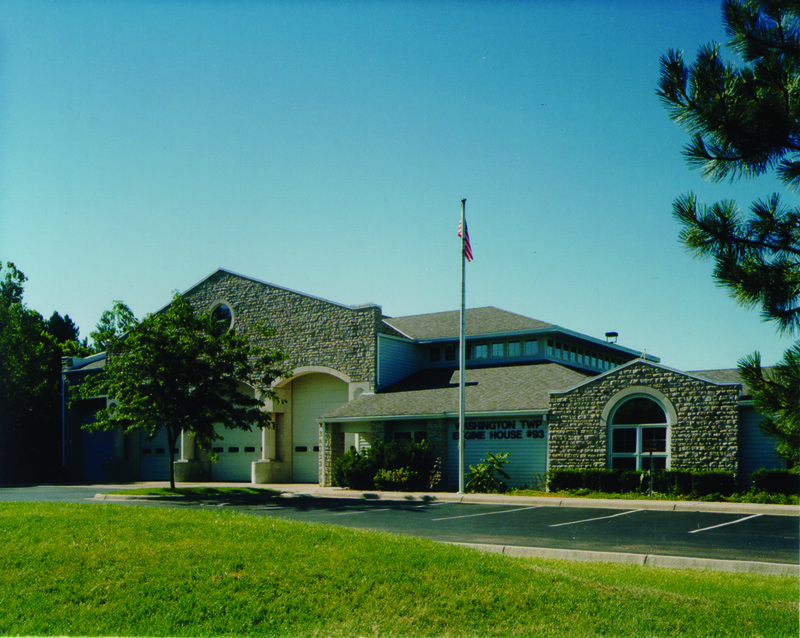 The overwhelming success of the facility created the need for an additional 40,000 square feet (Phase II) in 2000. The addition included a theater, community hall, arts and craft space, additional offices and the relocation of the senior adult lounge. Renovations of the wee folk room (child care), teen lounge, lobby, front desk and entrances were completed in 2006 and 2007. The Fleet Maintenance Center at 6351 Shier Rings Road houses Fleet Management (part of Administrative Services and the Sign Shop (part of Engineering). The existing main service building is 32,600 square feet with two barns (2,700 square feet) and a salt storage shed (5,184 square feet). 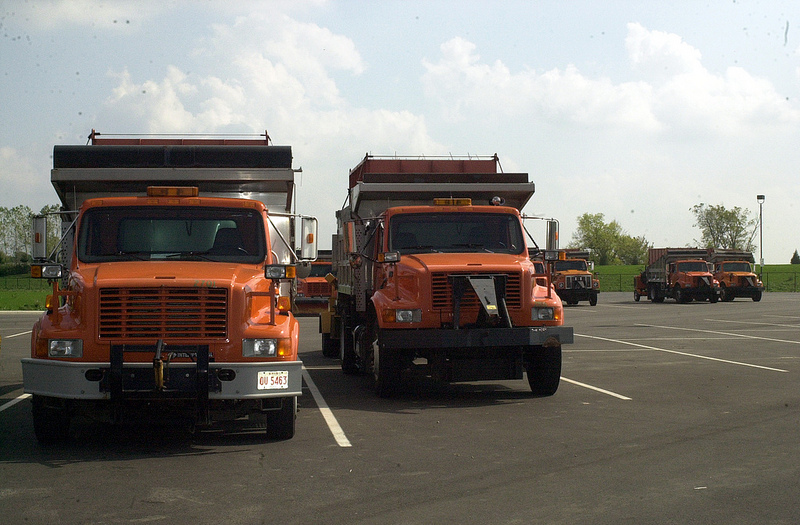 The service yard houses a large fleet of vehicles that support the operations of Streets and Utilities, Parks and Open Space, Facilities and Engineering. In 2012, the City opened a new compressed natural gas (CNG) fueling station at the Fleet Maintenance Center, funded with a $1.5 million grant from the U.S. Department of Energy and Clean Fuels Ohio. The Dublin City Schools operates a transportation center adjacent to the Center with a school bus parking lot and separate school maintenance facility. The Dublin Service Center at 6555 Shier Rings Road is the newest public facility. 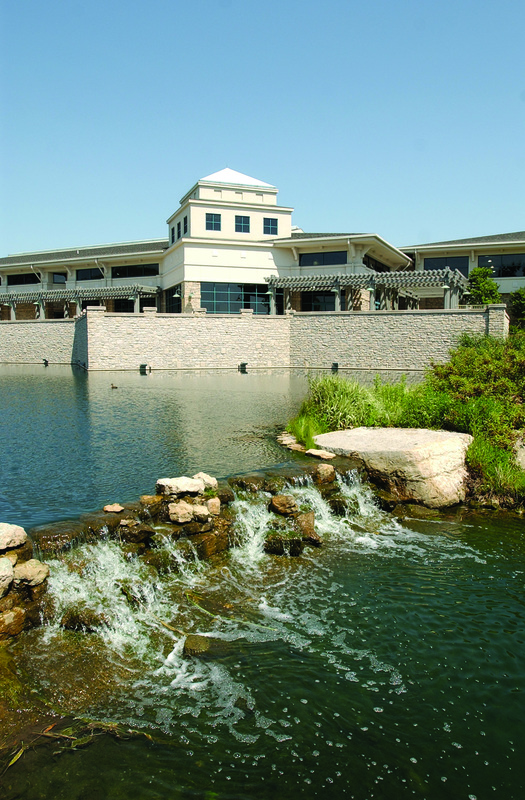 Constructed in 2002, the facility has 55,200 square feet of office and warehouse space housing Human Resources, Streets and Utilities, Facilities and Parks and Open Space. The site includes a service yard and full-service greenhouse to grow landscape materials for municipal parks and public spaces. The building was designed to permit expansion for additional offices when necessary. A programming and space needs analysis will be completed for this facility in 2013 to determine possible renovation and/or expansion. The Dublin Arts Center at 7125 Riverside Drive is home to the Dublin Arts Council, a 501(c)(3) nonprofit organization that serves the Dublin community through visual and performing arts and art education. The 8,700-square-foot building was constructed in 1941 and is listed on the National Register of Historic Places. The City purchased the property 1999 with the intent that it be used as an arts center. Renovations to the building occurred during 2001 and 2002 and the Dublin Arts Center opened in March 2002. The City maintains other smaller facilities in addition to those described above. The Community Events Center at 5620 Post Road (Coffman Park) was a former residence that was renovated in 2002. The building contains 3,500 square feet of office and storage space for Events Management. This facility was intended for short term use and is expected to be vacated and demolished once a more appropriate location is determined for Events Management . In 2003, the City also purchased a 3.56-acre parcel at 5868 Post Road (Coffman Park). 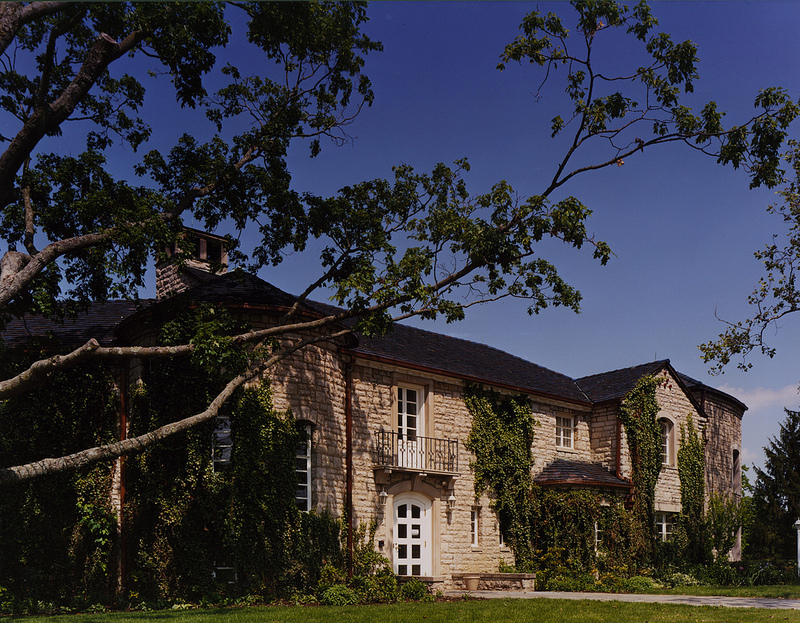 The former residence includes 4,200 square feet of space along the South Fork Indian Run for future use by the City as a cultural heritage and nature education facility. The City also owns the Dublin Chamber of Commerce building located at 129 South High Street. Providing a center of operation for the Chamber, the building includes meeting space that is used for public meetings. The Chamber is a voluntary, non-profit organization representing area businesses and the professional community. Its purpose is to represent business interests and work to improve the economic climate, fostering cooperation between businesses, schools and government. With more than 1,100 members from over 600 businesses and professional firms, the Dublin Chamber of Commerce is the largest suburban chamber in the State of Ohio. In addition to these facilities, the City owns, operates and maintains a variety of historic barns and small storage facilities throughout Dublin to enhance preservation efforts and to provide more efficient service to Dublin’s neighborhoods. Fire services for the City of Dublin are provided by the Washington Township Fire Department (WTFD) and exemplify the cooperative relationship between the City of Dublin and Township officials. Areas served by the WTFD include unincorporated Washington Township and the City of Dublin. On October 1, 1997, service responsibility for portions of Dublin east of the Scioto River were transferred to the WTFD from Perry Township. As a result, the fire department now provides service within Franklin, Delaware and Union Counties. With recent changes to Ohio law, however, fire service provision to newly annexed areas of Dublin outside Washington Township will require additional agreements and taxing structures to maintain consistent municipal and fire service boundaries. In addition to the high quality fire and emergency service provided by the Township, fire department officials also play an integral part in the City’s development review and building permit processes. Through cooperative efforts the WTFD helps ensure continued safe and orderly growth. 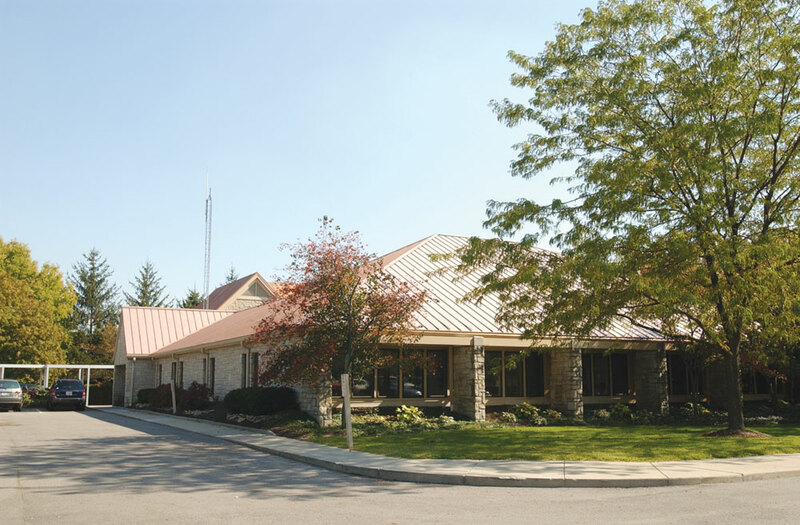 In 2006 Washington Township completed renovations to open a new Township Administration Building at 6200 Eiterman Road. Consolidating former administrative locations from Shier Rings Road and Wilcox Road, the new facility provides greater access to services. The WTFD Training Tower (also located on the site) provides state-of-the-art fire training capability for departments throughout Ohio. By simulating lifelike situations, the facility helps ensure the very best in fire service for Dublin’s residents. Given significant growth and the dispersed nature of current operations, space deficiencies of several City work units must be eased to improve the functional adjacency and relationships of departments. Future space needs for various work units should also be programmed and implemented. Long-term use of City Hall for key administrative functions may not be practical, as has been suggested in multiple space needs studies. At some point, the construction of a new City Hall may allow more effective services as the center of municipal government. The existing building could be reused for other civic functions and organizations, or could be demolished (totally or in part) depending upon park and functional priorities. A future City Hall should house those work units responsible for general administrative, financial management and development functions. Space needs studies suggest that a site of at least eight acres will be required with the capability for additional expansion, but these studies will need to be updated prior to the design and construction of a new City Hall building. A central location in the community with convenience for residents and easy access for visitors is essential. Potential locations that have been discussed by City Council include Coffman Park and the Bridge Street District. The Justice Center was specifically designed for Police and Court Services, but occupied space is currently at capacity. Additional space and/or reconfiguration of functions will be necessary for their continued operation. Similarly, the 5800 Building, in its current configuration, is at capacity, does not provide appropriate space for meetings with customers and does not allow for the most effective grouping of work functions. Analysis of this facility will result in recommendations for expansion, renovation or the determination to lease, purchase or construct a new facility. Demand for fire and emergency services will also increase as Dublin’s population and geographic boundaries expand. While Dublin’s 2013 population totals approximately 42,000 residents, the daytime employment population is significantly larger. Daytime population and resulting traffic congestion will affect future service and response time. Additional substations or other facilities will be necessary to provide acceptable response times in growing areas such as the southwest and northwest. These facilities may be coordinated with other civic uses or at locations provided in conjunction with future development. Over time, the WTFD will also need to consider maintenance needs and upgrades as facilities age and technology changes.